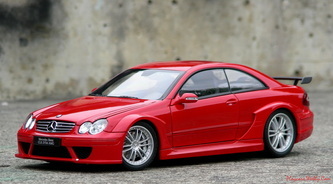 Released in two versions, coupe and roadster the CLK DTM from Kyosho is definitive a great model to watch. 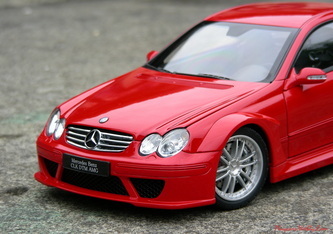 It is one of the best Kyosho’s releases that I ever seen, along with the Audi R8. They catched and perfectly moulded the essence of this racing machine which has been let free on the streets. The proportion, stance and exterior details are flawless. The paint job is perfect, a glossy, deep and smooth paint covers the muscular body. Isn’t a heavy model, both bumpers, sills and mirrors being made of plastic, but it doesn’t feel fragile. The lights are exemplary made, rarely I’ve seen the reflective part so great done on a model and the included turn lights were correct painted, the realistic effect being guaranteed. The air intake on the bumper is covered with plastic made mesh. For the lid’s one, they’ve chose a plastic textured base and applied on it the chromed ornaments. The chrome is very good. 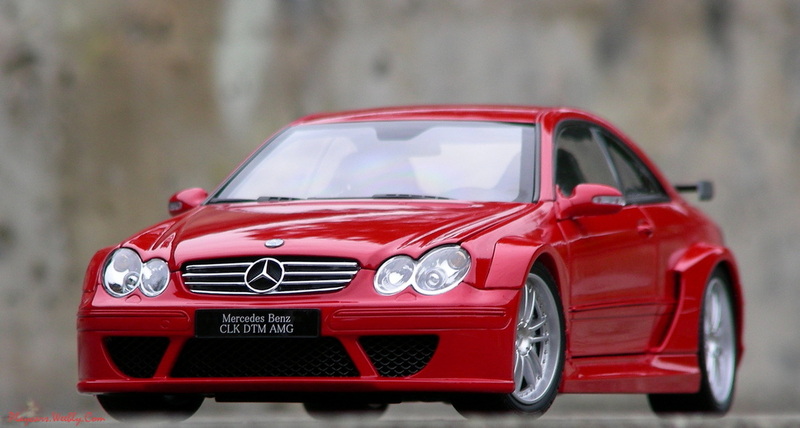 Being a metallic raised piece the Mercedes logo has the details painted on and the famous star in the front results correctly sized and perfectly chromed. The lights washer was modeled on the bumper surface. Are nicely done the door handles and the turn signals integrated into the mirrors, but attached with double visible stubs. 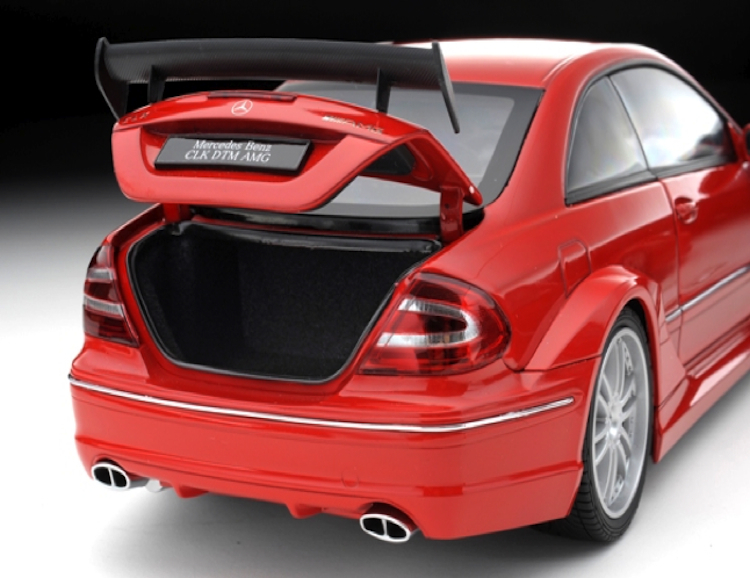 The spoiler is made of a textured plastic to replicate the carbon fiber. 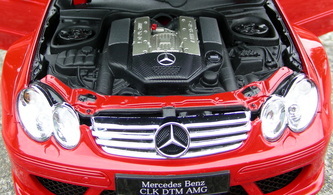 On the rear side the Mercedes star and lettering are presented by metallic photo-etched parts. 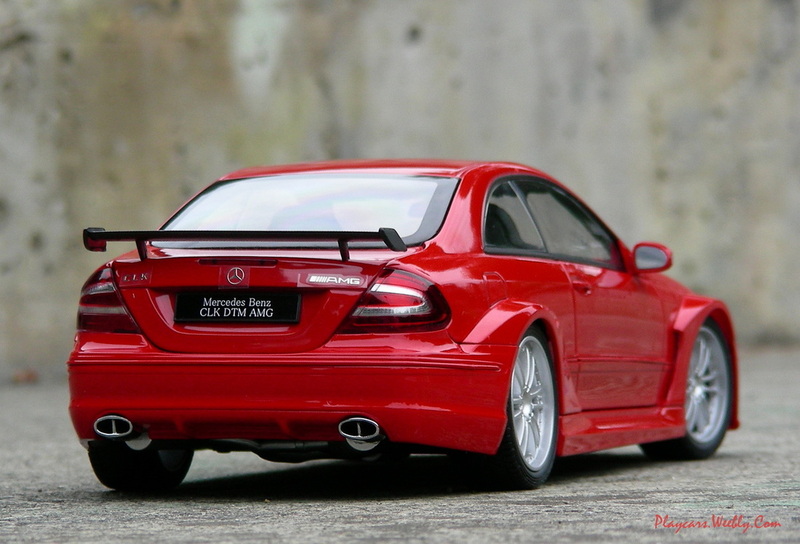 Very good looking are the taillights made of a translucent plastic having the correct shade, to render evident the turn signals. The third stop lamp is made of plastic, too and attached with 2 stubs. Again, the great qualitative chrome covers the double exhaust pipes. No real license plates were provided. 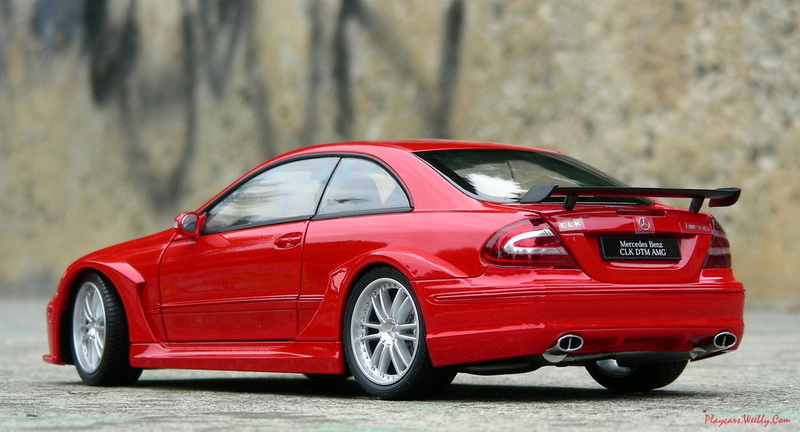 The rims are precisely replicated, with thin spokes, the valve and rivets were great detailed and the Mercedes badge was moulded in the middle. For the brake disks a fake cross drill effect was applied and the calipers were correctly made, keeping the different size for the front wheels. Use the opening tool included in the box to open the doors. The cockpit is great finished and very, very nice detailed. 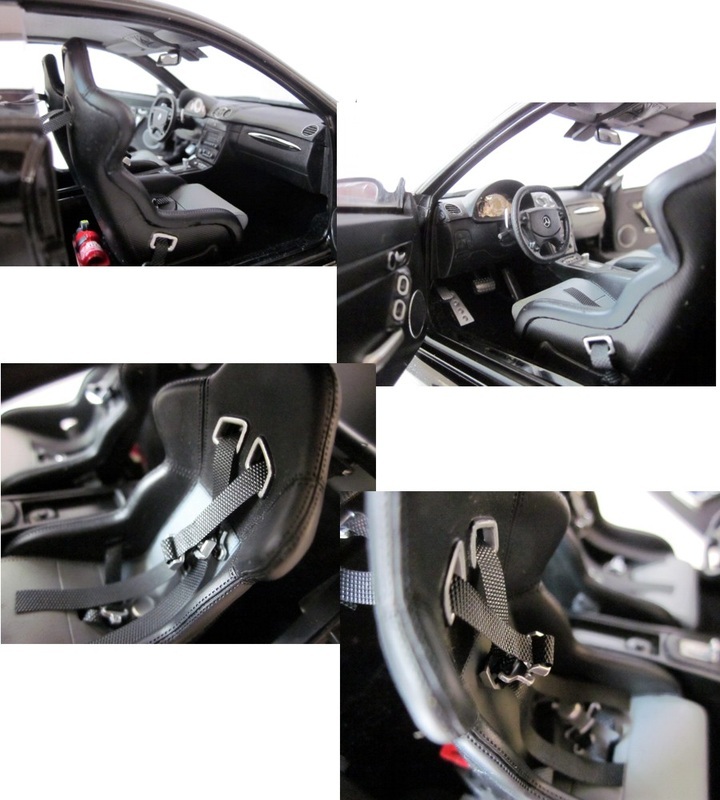 The Recaro seats are bi-color textured even the seams are replicated and have textile made seat belts. The buckles are fine and precise. For the seat stands they’ve used textured plastic to replicate the carbon pattern. It was great to chrome, instead of silver painting the seat’s decoration. The seat belts are fixed like on the real car, even the fixing carbon bar behind the seats is present. On the central console it was applied a decal replicating the carbon fiber and is very good looking. All the buttons are individually marked and for the indicators block, they’ve used a legible sticker. The steering wheel has the correct shape and the commands marked on. Are beautiful detailed the door panels and the floor is carpeted. The pedals were nice detailed but are over sized. Behind the passenger seat was mounted a fire extinguisher. For the engine bay the things are not so great. 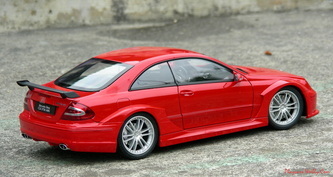 All parts were modeled on a plastic base, having the engine, lids and hoses included. 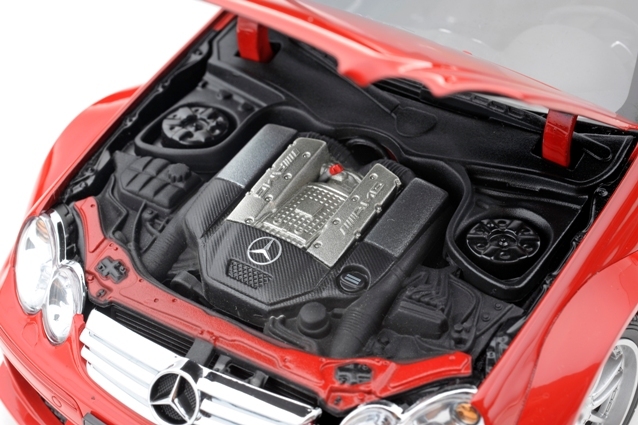 Is a cheap way to fill the space under the bonnet, but for sure not a good one. The trunk is carpeted. 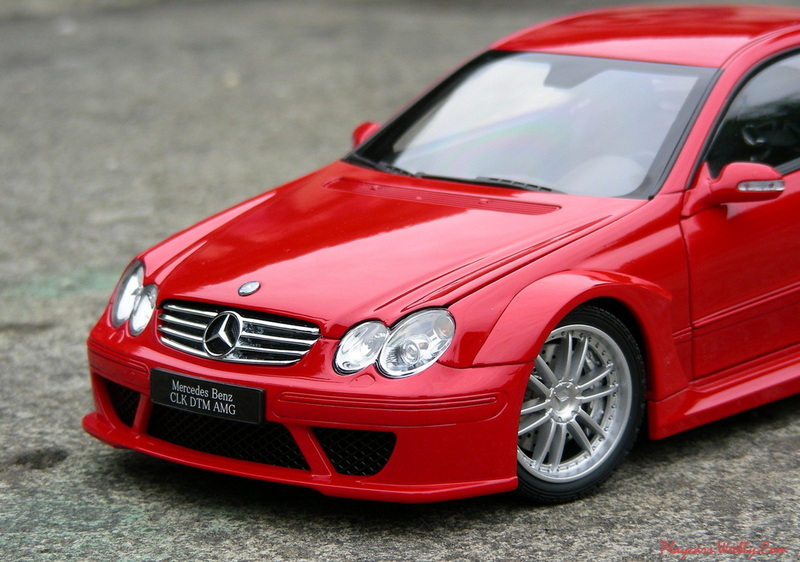 The model is almost flawless, a great done exterior as I said and an accurately detailed interior are its strongest parts. Is a pity it’s not featuring a good replicated engine. The price is more under what the model offers and I could only recommend it in both versions.